Promotional products not only give you brand recognition but impress upon your target audience to choose you in their next time of need. Choosing the right promotional product can be a tough decision, that’s why Integ has expert promotional product advisors with over 20 years of experience ready to help. If you’re looking for the newest promotional products that stay in front of your customers on a daily basis, we have them listed out for you below. 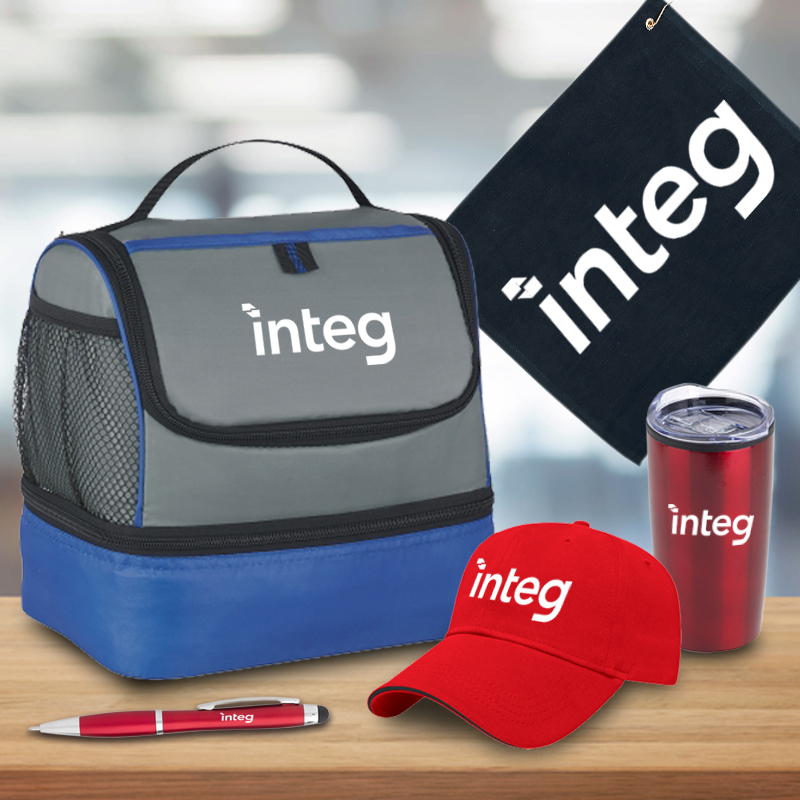 Take the guesswork out of which product is right for you, find out why Integ’s Promotional Products Division choose these featured items. The Tumbler – This 20 oz. stainless steel insulated tumbler is a great everyday use product for customers. Drinkware has always been at the top of promotional product choices, but tumblers keep your drink insulated for longer time frames and have a sleek design. Caps – Low profile embroidered twill caps make your logo a wearable design for customers. Keep your logo in front of potential clients by offering caps. Wearables are a top item in the promotional industry and caps with a cool logo allow the wearer to make a statement wherever they go. Writing Instruments – Everyone needs a pen, but what pens need to make a statement. We offer all kinds of pens, but this top trending pen is a laser engraved lighted barrel pen showcasing your logo that lights up when the point is out for writing. Bring something new to your next meeting and everyone will be asking about the pen that lights up. Cooler Bags– This double compartment lunch bag measures 9.5″ x 10″ x 7.” Make your name stand out in a bag that offers functionality and keeps food and drinks cold. From the man that works outside to the desk job, lunch bags are always a necessity. Golf Towels– Measuring 15″ x 18″, this screen printed hemmed towel with grommet and hook are a great addition to your client’s golf bag. He/she can use it to keep their gold balls dry all while keeping your name in front of them around the course. All prices vary dependent on the minimum amount ordered and set up fees are applied. Have questions about your next promotional item or need a quote on getting your business some promotional items? 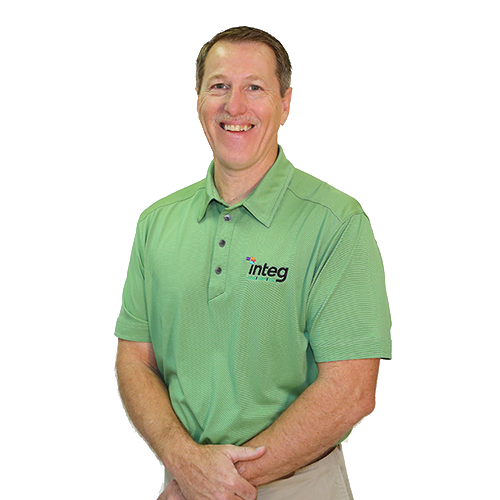 Integ is here to help! Contact our Promotional Products Division and ask for Gary McWilliams today at 254-751-1012 OR fill out the form below for a quick quote!